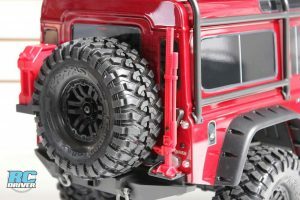 The Traxxas TRX-4 has been announced, spy shots circulated, update posts uploaded on the Traxxas and there has been a ton of speculation, discussions and predictions about this machine before it has even reached the hands of the public. 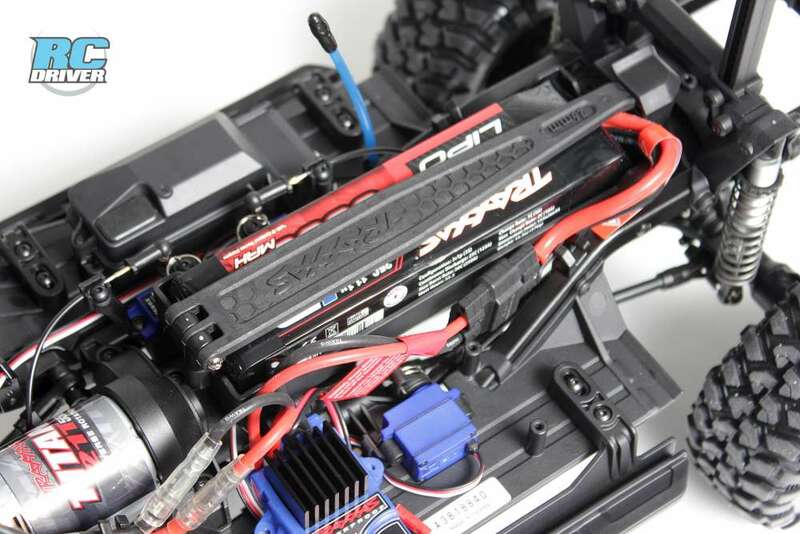 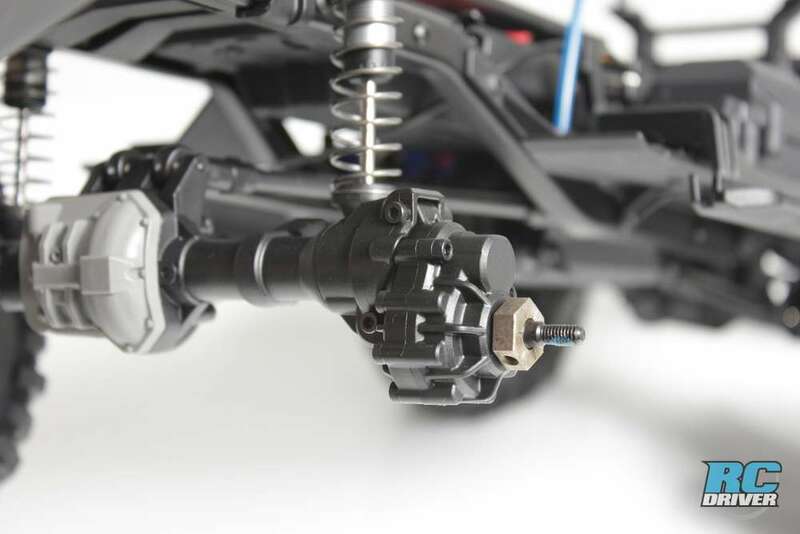 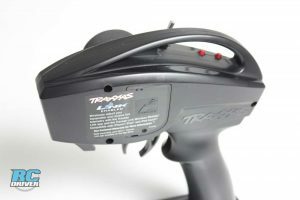 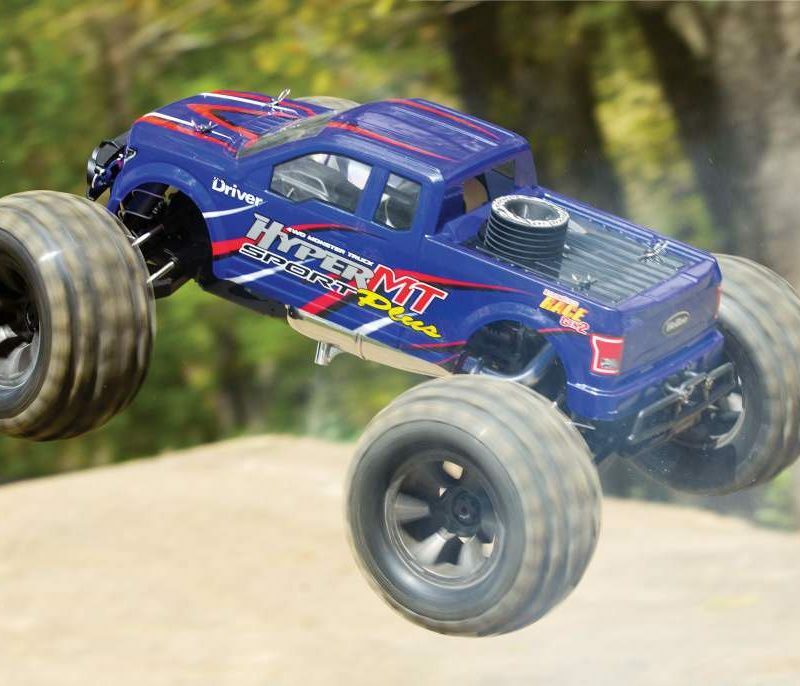 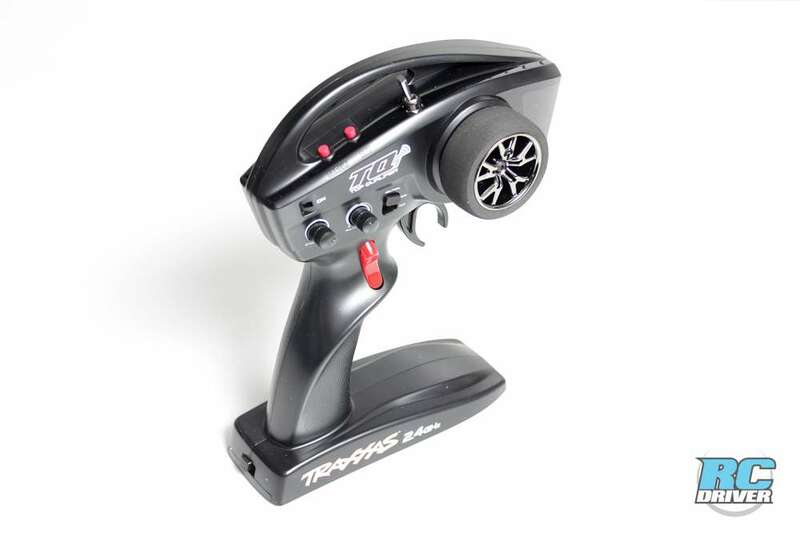 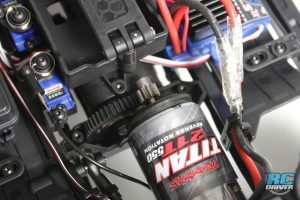 This Traxxas release has caused one of the biggest stirs in RC in a very long time. 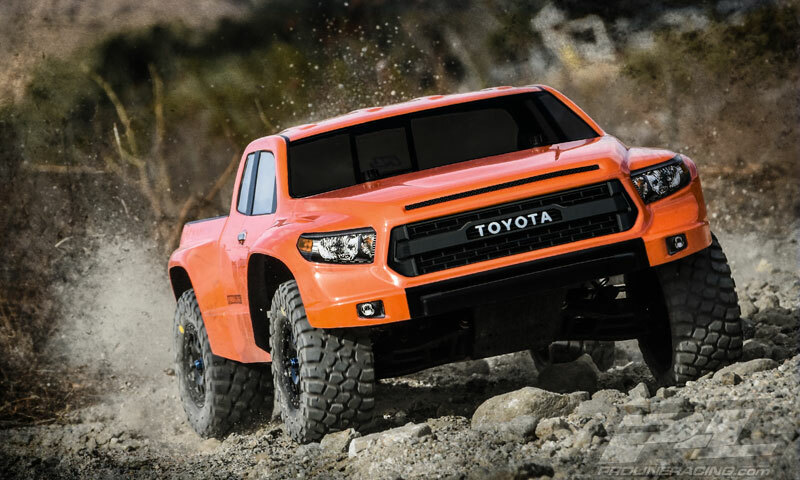 But now, the truck is here. 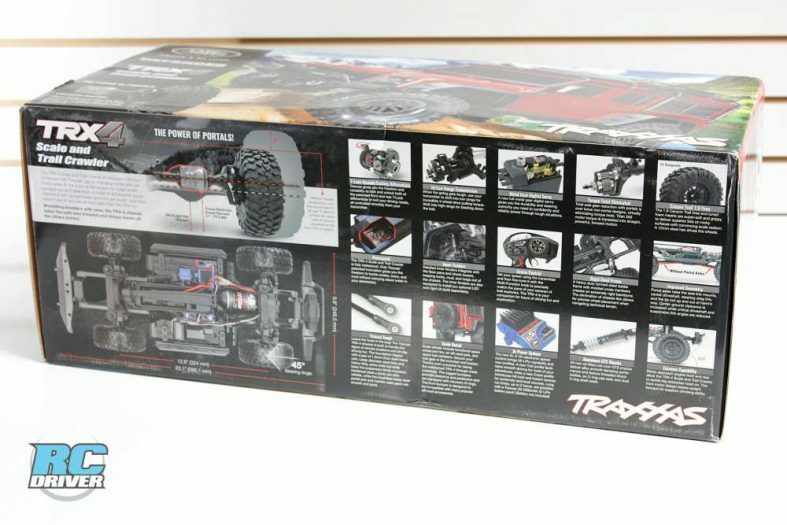 It is available to the public and it sounds like there is nothing but praise. 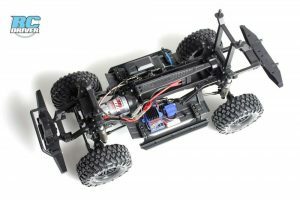 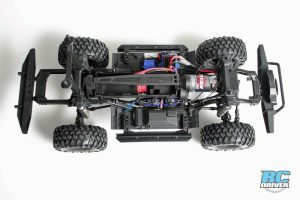 The performance and look of the Traxxas TRX-4 has far exceeded expectations and shut a lot of those who were pessimistic about the rig right up. The Traxxas TRX-4 has made it’s way to the workbenches at rcdriver.com and we’re super excited to start wheeling this thing every since we got a little taste of action at the 2017 NRHSA show in Las Vegas just a few months ago. 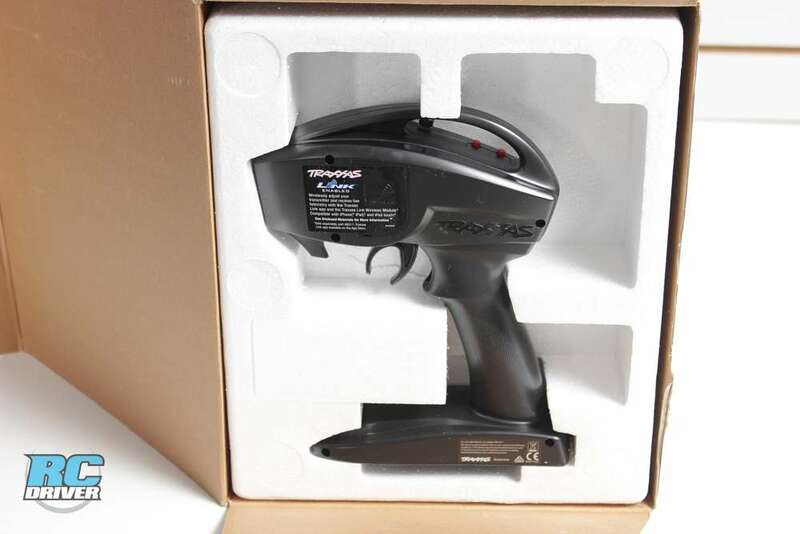 We broke out the camera and shot plenty of photos of this machine being unboxed. 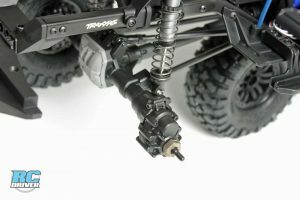 If you’ve been waiting to see some in depth details of the Traxxas TRX-4 truck, you’re going to want to dive into this gallery of photos! 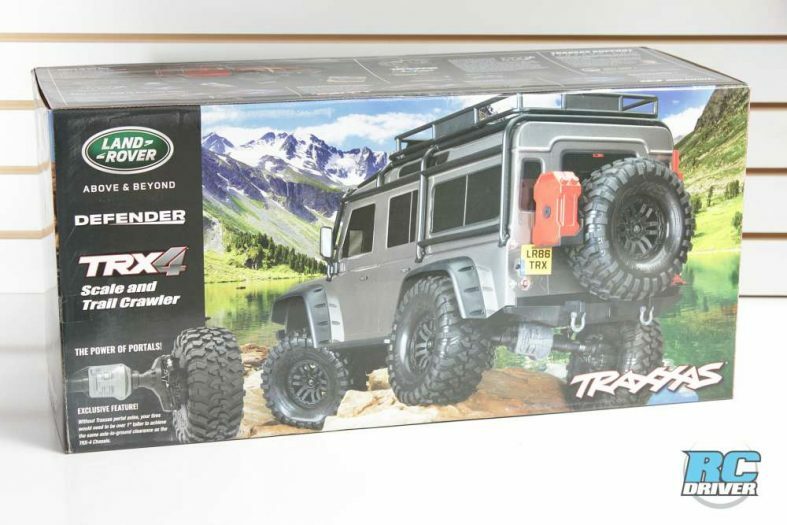 The excitement of this vehicle certainly starts with the box. 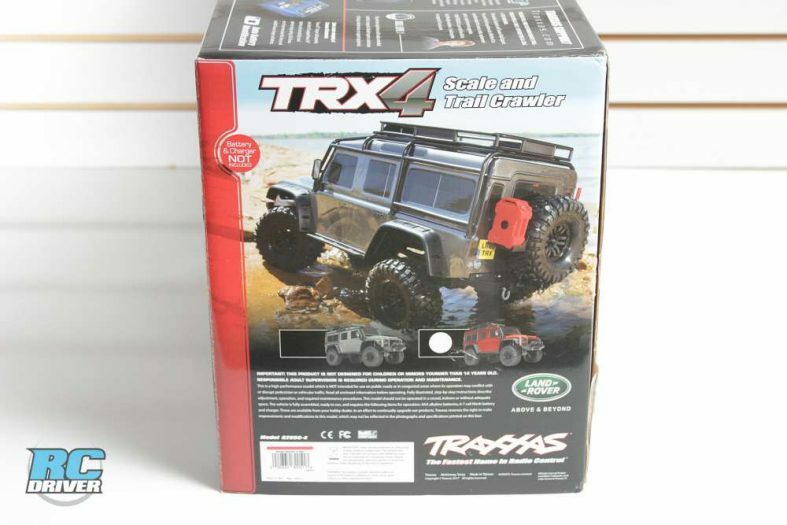 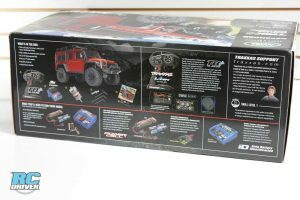 Traxxas did another outstanding job of creating a box that makes you want to pick it up and take it home to play immediately. 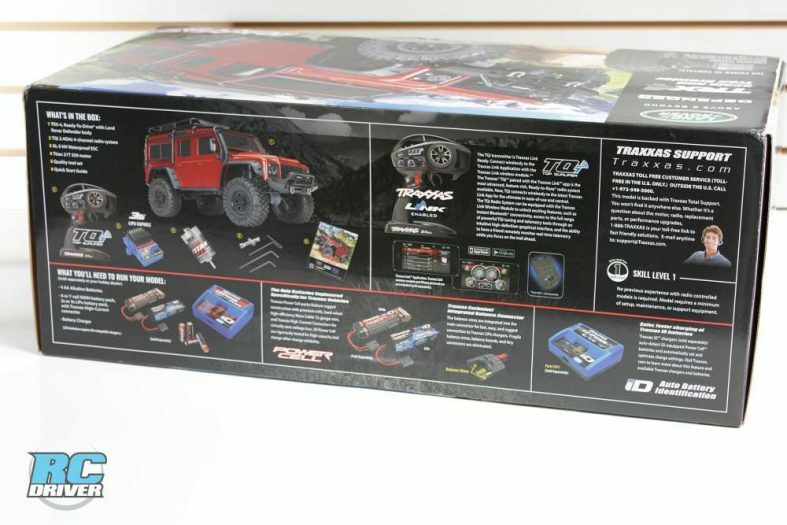 There is plenty of information of the outside that clues you in to all of the rigs features, capabilities and parts you may need to pick up to run it. 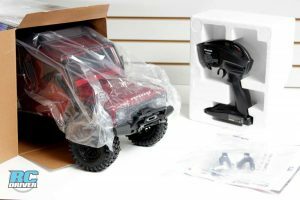 When you pop a box end open, you’ll see the styrofoam packaging material keeping the truck safe during it’s journey to your home. 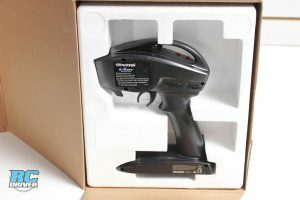 Too bad it’s the last time it will ever feel safe again. 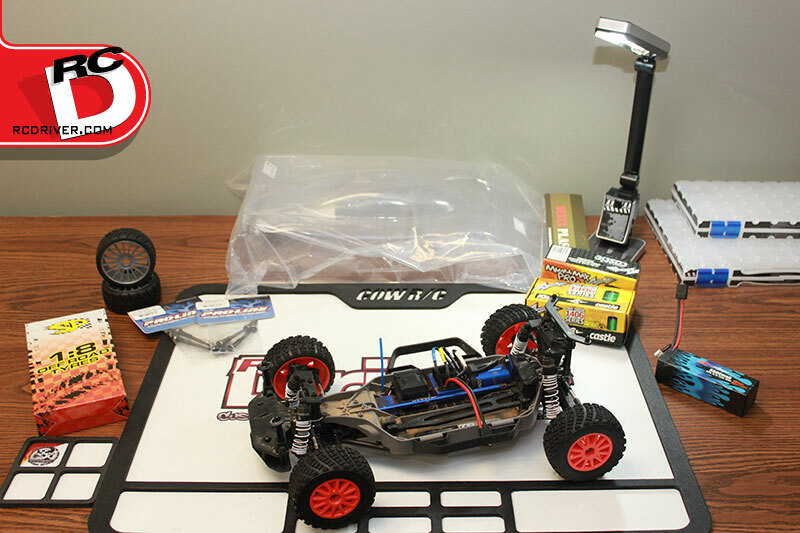 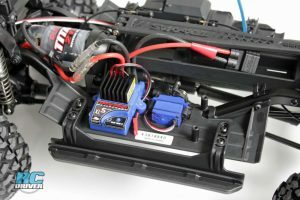 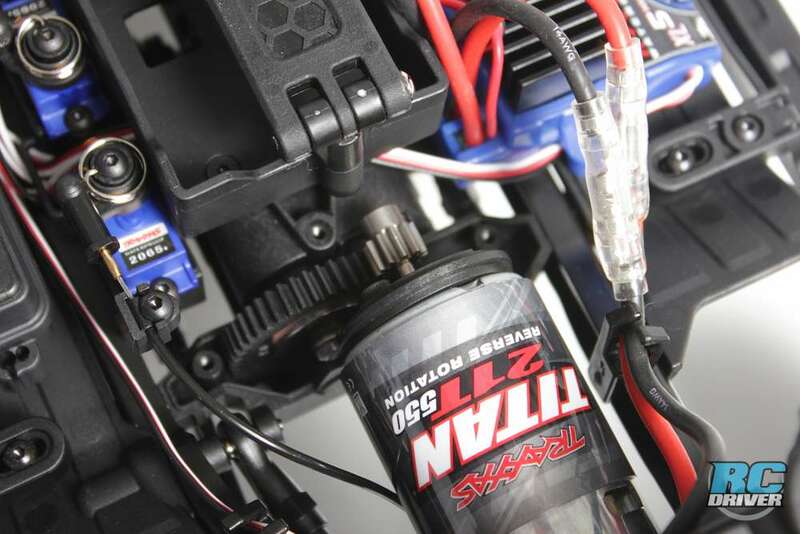 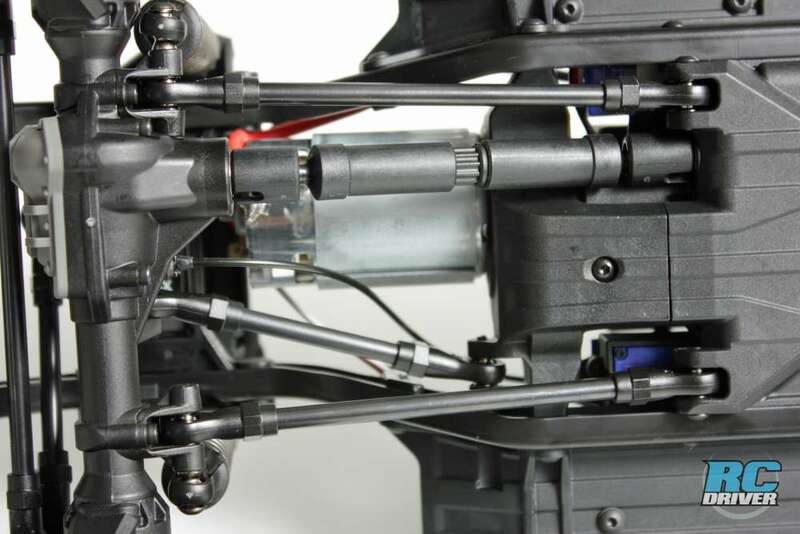 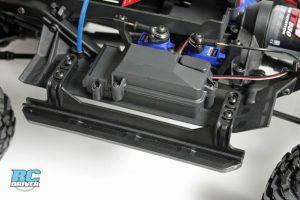 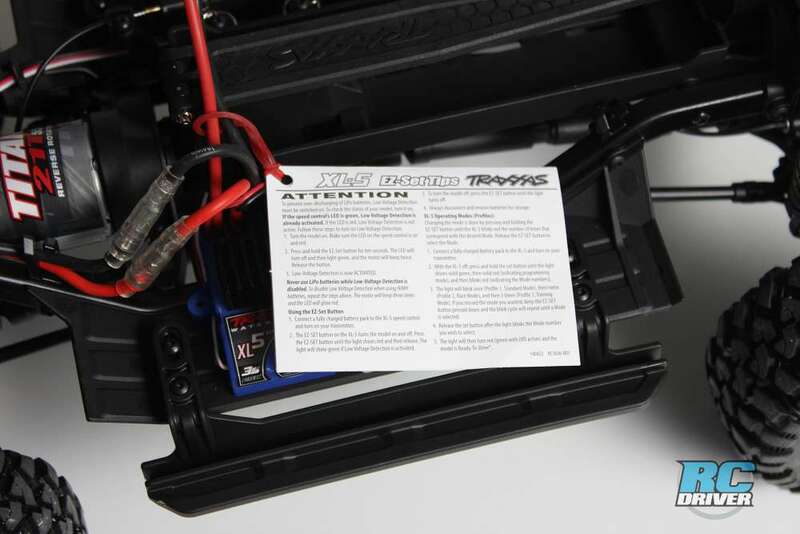 In one end of the foam packaging is the TQi radio system already set up with the Traxxas Link module. 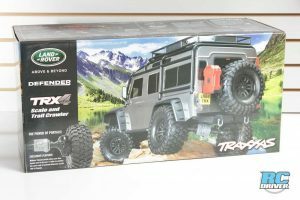 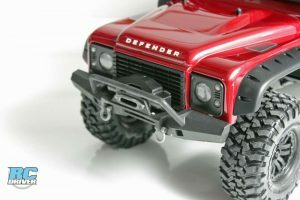 But you’ll probably toss it aside to pull the TRX-4 from the box to see the beautiful detail of the licensed Land Rover body. Wait! 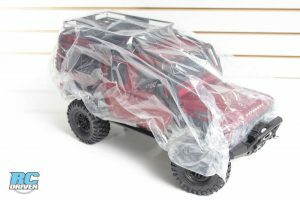 not yet, there is a plastic bag keeping the body protected during transport and a plastic film over the grill to protect it too. 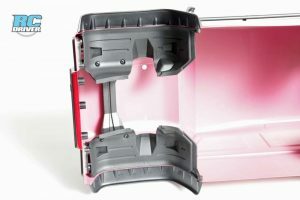 Once the plastics are removed, then you can gaze at the beautiful body detail either in grey or red. 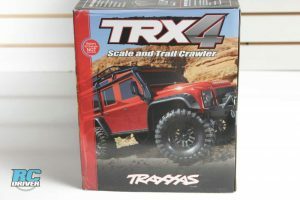 We had our fingers cross for red and that is what arrived. When you’re done drooling over the sight of the vehicle, you should really check out the included paperwork with the vehicle, the decals and additional body mount all tucked away in a plastic baggy inside the box. 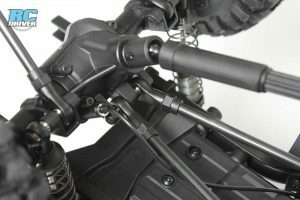 With the box unveiling out of the way, it is time to check out some of the details of the machine, starting with the body. 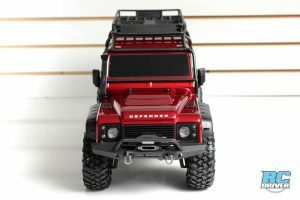 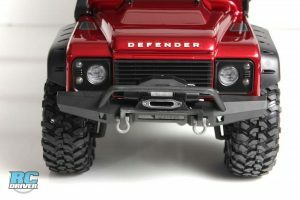 The body is an officially licensed Land Rover Defender Body and it’s available in either grey or red. 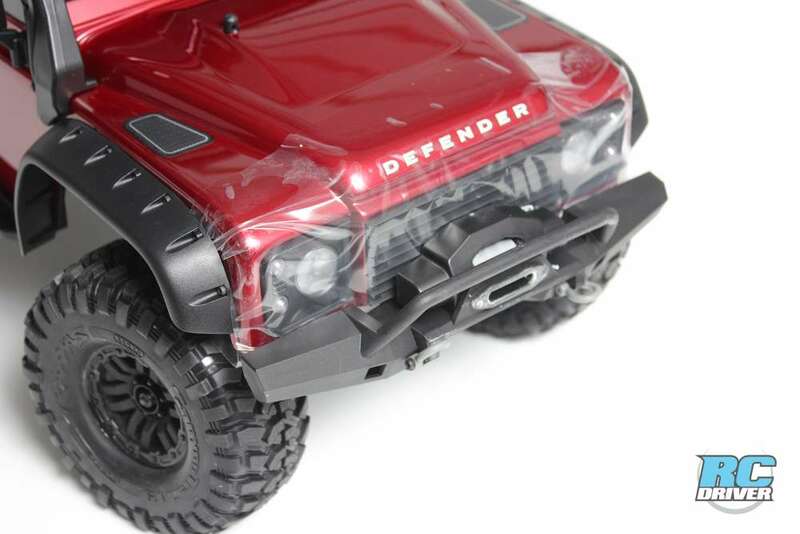 The detail on the body is incredible with our only gripe being the blacked out windows. 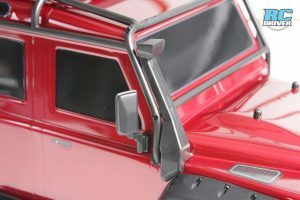 Being a scale rig we would have liked to have seen clear windows, but we quickly grew to forgive the window shade as the body just looks too cool. 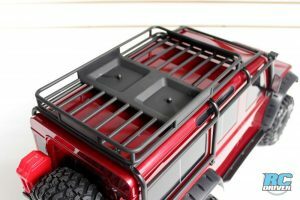 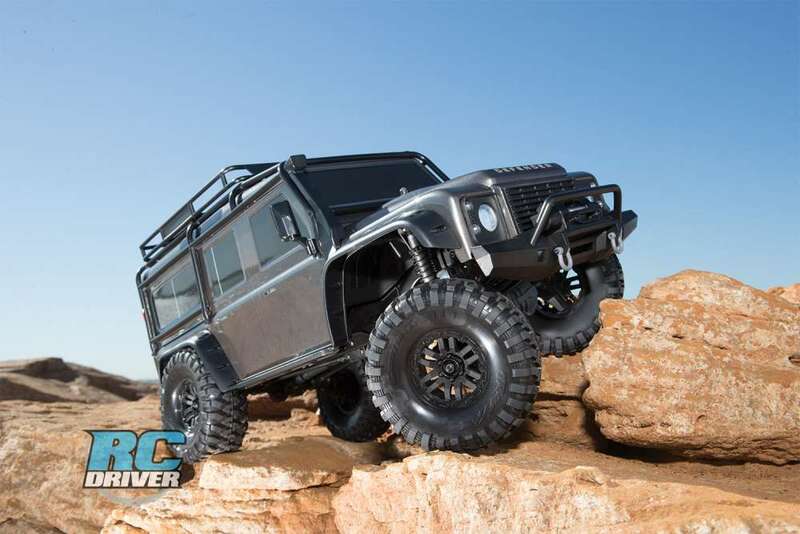 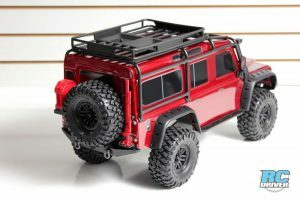 The big features bolted to the body are the injection molded scale grill, snorkel, and side mirrors and there there’s of course the functional roll cage and tough fender flares. 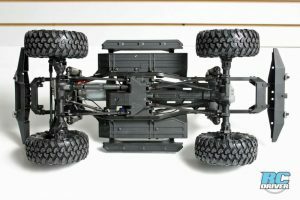 No need for you to think of aftermarket or custom body accessories, this truck is well detailed as is. 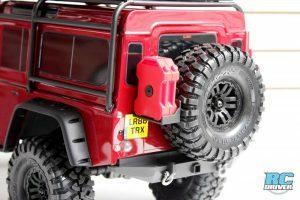 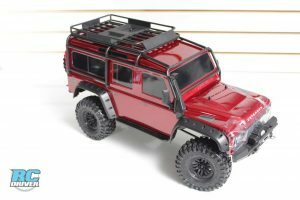 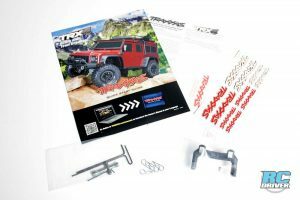 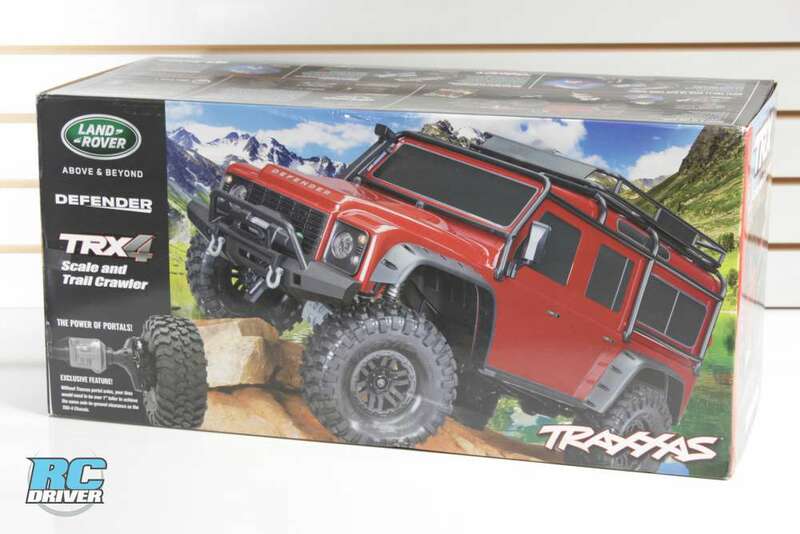 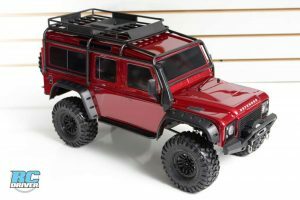 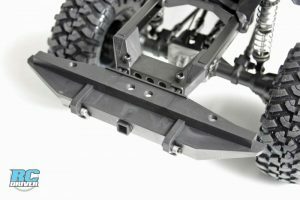 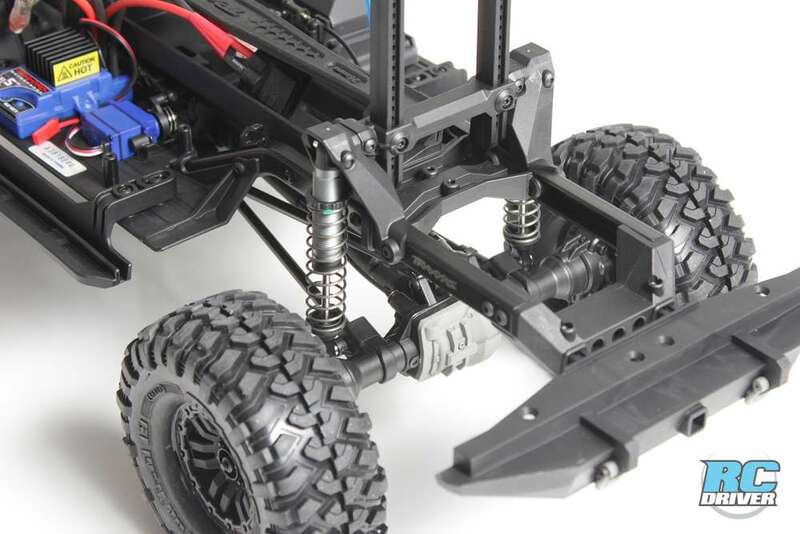 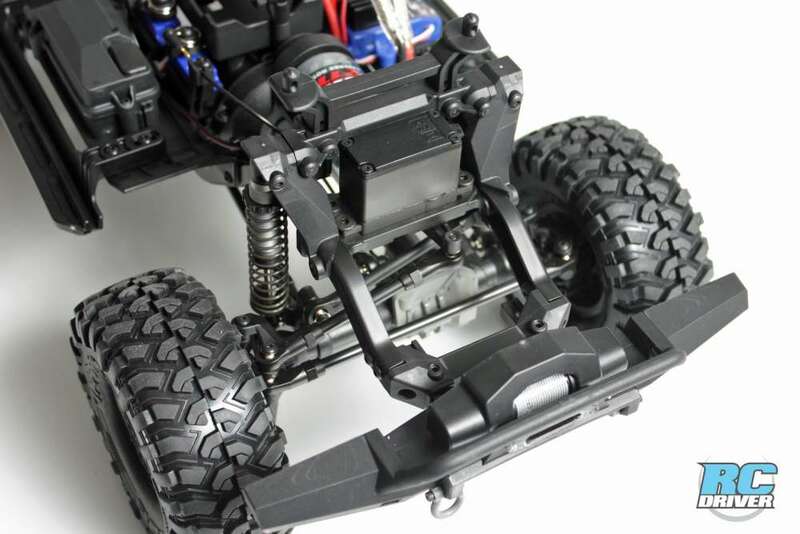 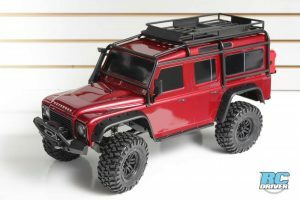 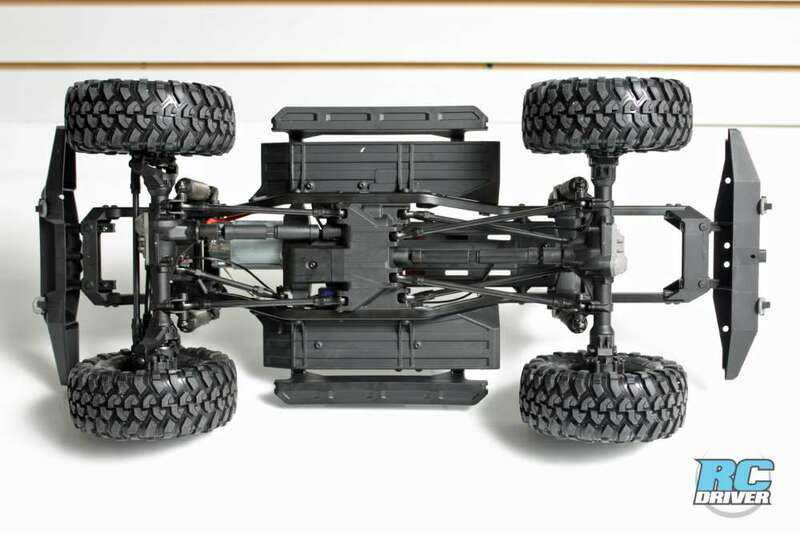 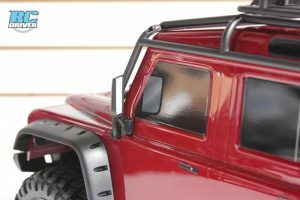 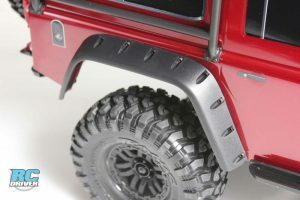 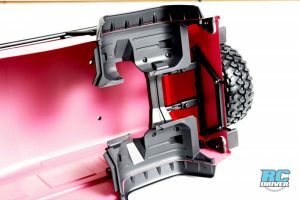 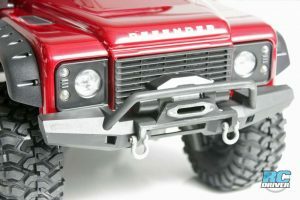 More incredible Traxxas TRX-4 details include a front bumper with tow hooks and replica winch, rear bumper with scale accessories and functional spare tire and full Nylon composite wheel wells and floor pans. 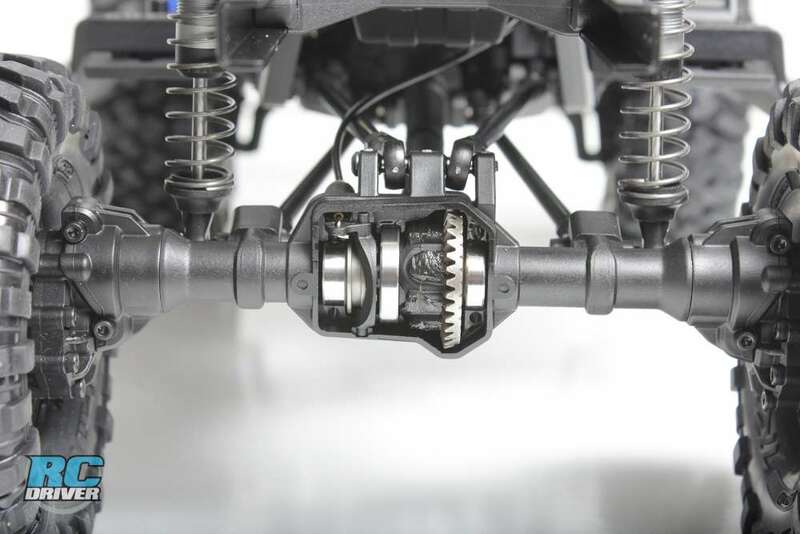 One feature that may get overlooked though and is a nice touch is the integrated alignment pins prevent body shake. 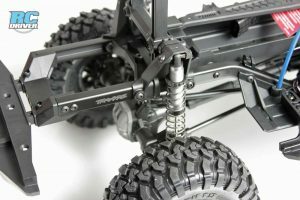 It may take a few extra seconds to install the body because of the pins, but it gets rid of the irritating body shake so many other rigs suffer from. 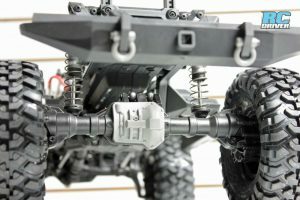 The drivetrain is a full-time shaft driven 4-wheel drive system with tough 6mm stub axles, steel front CVDs and hardened steel rear axle shafts. 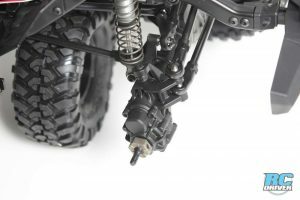 The real bid deal is the remote locking steel gear differentials with cable-actuation and the steel gears in the transfer case. Portal Axles give the rig increased ground clearance measuring 3.14”, feature steel gears and the design eliminates torque twist. 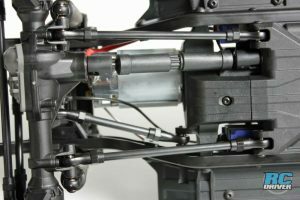 The transmission is a two speed high/low range with remote shifting, how cool is that? Curious about the suspension? Up front is a 3 link set-up with panhard while in the rear is a triangulated 4 link. Heavy-duty rod ends with steel hollow balls mate up with 5mm diameter steel link rods with 4mm threaded ends. Oil-filled coilover GTS shocks exclusive to TRX-4 chassis provide the damping. What about wheels and tires? 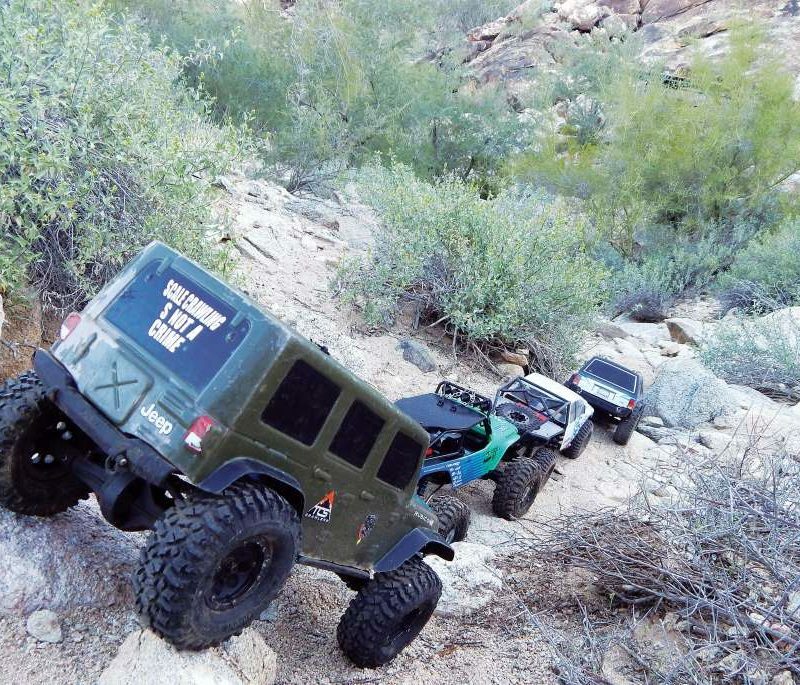 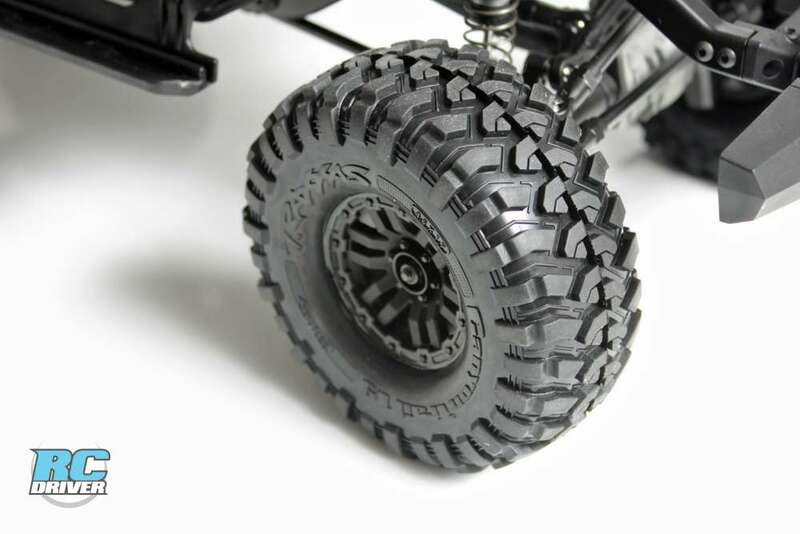 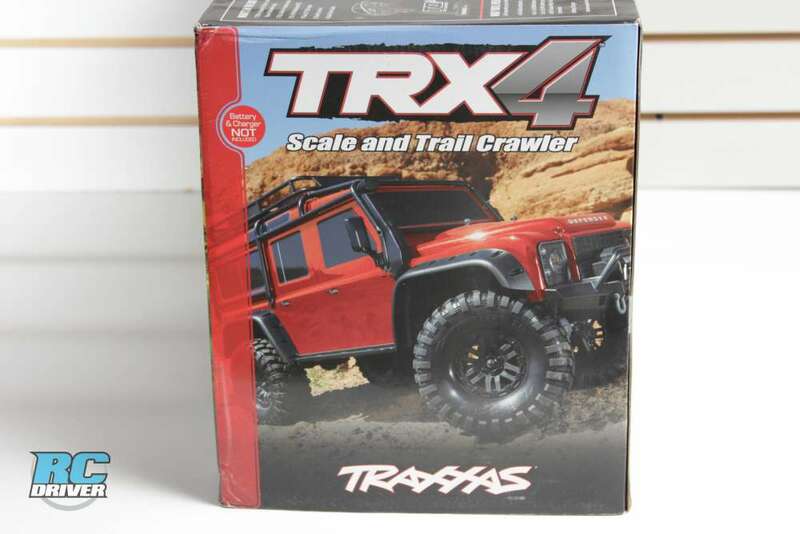 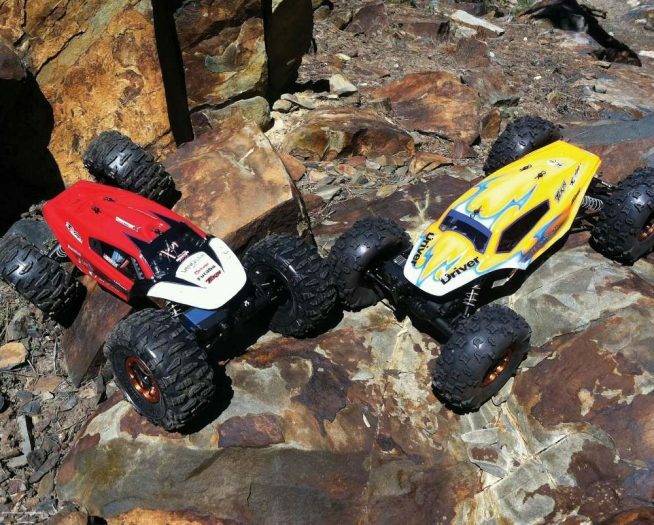 Traxxas supplies 1.9” Canyon Trail tires with trail-tuned foam inserts. 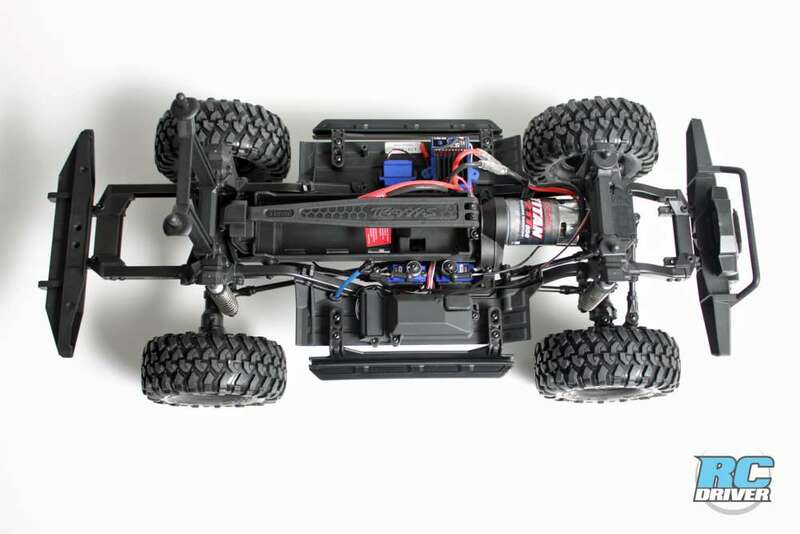 Being a ready to run machine, the truck is equipped with a Traxxas TQi 2.4GHz 4-channel transmitter and is Traxxas Link enabled. The new trail-tuned XL-5 HV Waterproof Electronic Speed Control features a Trail Mode — forward / brake / reverse / with trail-tuned drag brake in neutral and a Crawl Mode — forward / instant reverse – no neutral with 100% hill holding brake. 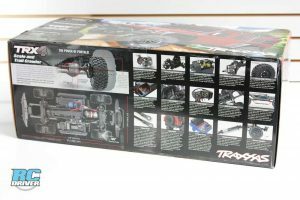 Traxxas’s well known powerful Titan™ 21T reverse rotation motor with internal cooling fan delivers the power in this machine.